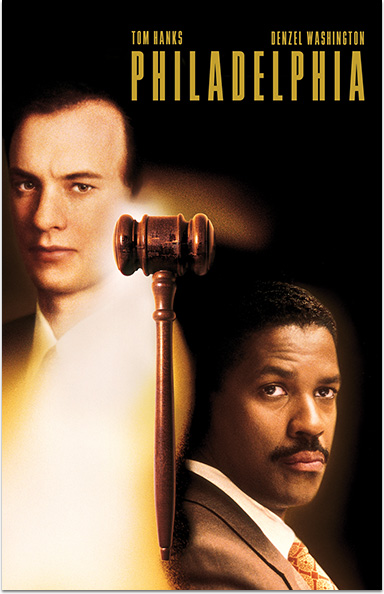 Hailed as a landmark film that dazzles with deep emotion and exceptional acting, Philadelphia stars Tom Hanks and Denzel Washington as two competing lawyers who join forces to sue a prestigious law firm for AIDS discrimination. And as their unlikely friendship develops, their courage overcomes the prejudice and corruption of their powerful adversaries. 3. Scroll to select "See Full Listing of Titles"
PHILADELPHIA © 1993 TriStar Pictures, Inc. All Rights Reserved.